DaySpring has started their After Christmas Sale with clearance prices of up to 75% off. Plus, you can use coupon code MSM20 to get an additional 20% off any of the regular, sale or clearance prices. On December 26th and 27th you can get Buy One, Get One free at the Gap Outlet. Print this Gap Outlet Coupon. There is a limit of one free item and one coupon per person. Did you set your dinner table and realize you are running a little low...? Through 12/24 and exclusively for BradsDeals.com readers, Pfaltzgraff lowers their 80 Piece Pearl Flatware Set from $99.99 to $79.99 to $29.99 when you add it to your cart. This set includes salad forks, dinner forks, dinner knives, dinner spoons, and teaspoons. This is a great set to use for everyday dining or casual entertaining. Shipping rates depend on shipping destination or receive free shipping with orders over $75. Sales tax is not charged in most states. 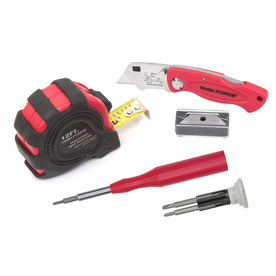 Head to Lowes.com to get a great deal on a little tool set! Promotion is valid online and in stores through 1/3/11 and applies to in-stock items only, exclusive of tax and shipping. Use Offer Code WHH5902. One offer per transaction. Not valid: on previous purchases, for Coldwater Creek gift cards, catalog orders, in Outlet stores or Coldwater Creek, The Spa. May not be combined with any other Offer Code or discount. In the event of a return or exchange the amount refunded will equal the actual merchandise purchase price paid. No cash value. Land’s End has a nice winter sale sale with up to 40% off. 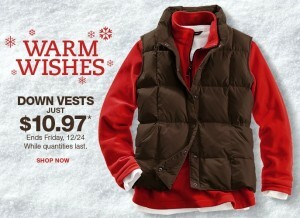 They have these ladies down vests for $10.97 while supplies last in 6 solid colors or 2 patterns. Once you find the items you like, just use promo code: WINTERSALE and then pin: 9429. That should get you free shipping! LOVE THIS! Want to get the holiday pics off the camera next week? 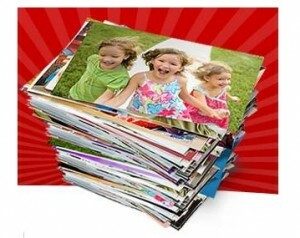 Kodak.com just released a Buy 1 Get 1 FREE 8X10 Kodak Photo Book coupon, which means FREE photo books next week at CVS. 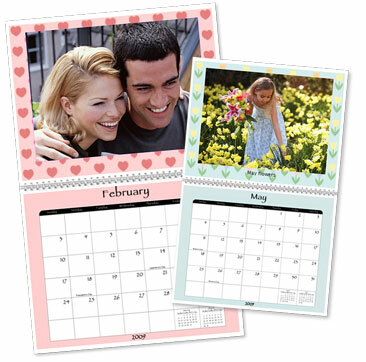 Remember next week CVS is having a Buy 1 Get 1 FREE sale on the Kodak Photo Books, and when combined with the Buy 1 Get 1 FREE coupons = 2 Photo Books for FREE!! This is a Bricks.com coupon, so click on the back arrow and then refresh the page to print a second coupon while the first print is going to the printer. Abercrombie & Fitch and Hollister has 40% off EVERYTHING in-stores!! The ads just sate for a limited time. Fine Print: Offer valid for a limited time at select Hollister Co. stores. See below for a list of excluded stores. Not valid outside the US or Canada. Not valid online. Applies pre-tax and excludes fragrances, gift cards, e-gift cards, flagship exclusive items, gift wrap, shipping & handling & previous purchases. Cannot be used with other offers, discounts or promo codes. Cannot be used with Associate Discount. Not redeemable for cash or credit. Purchase quantities may be limited. Other restrictions may apply. BOO HOO! "Sorry, this promotion has run out. The supplies were limited. Please check back on Fandango.com for other promotions"
Fandango.com is currently offering Buy 1 Get 1 FREE Movie tickets until 12/26 with coupon code: SAMSUNGTAB . Just select the movie, date, and theater, enter 2 tickets, and be sure to check the box that you have a promo code! Limit one FREE movie ticket per transaction per customer. Chadwicks is offering $15 off $15 or more purchase with code: CHTAKE15 You will have to pay for shipping though which is $6.99. Remember they have really cute items in their gift section!! CLICK HERE & go to the Jose Ole Facebook Facebook page, “like” them, and then click on the “Thank You” tab to print a $2/1 Jose Ole Product Coupon! You can download another free MP3 to add to your Christmas music. Silent Night is today’s download on Amazon. Don’t forget to add your $2.00 MP3 Credit for Amazon as well. You can apply it towards any music download. GIVEMP3S is that code. Do that HERE! 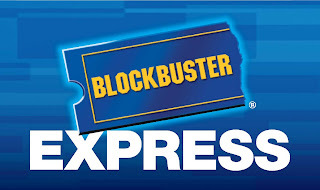 Blockbuster Express is offering a FREE movie code valid 12/23 and 12/24. Use code thanku when checking out. You will still need to enter your credit card, but it will not be charged if your movie is returned by the next day at 9:00 pm. Remember this code can be used once per credit card. *You can also use code XU14A once per card through January 7th. Old Navy has another 2 day sale coming Dec 26-27. 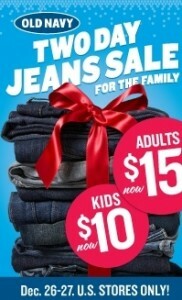 They will have Jeans for adults priced at $15 and for kiddos at $10 in stores. There is an Old Navy coupon available through 12/30 that makes this a better deal. Hey, there are AMAZING deals on Macys.com today.... I was only looking in the baby clothes, but I'm sure their kids clothes are awesome, too. I'm getting some shirts and stuff for Clara for $1.99. It's extra 25% off clearance prices. Become a Fan of Karo Syrup on Facebook and submit your favorite Karo recipe to receive a coupon for a FREE bottle of Karo Syrup! 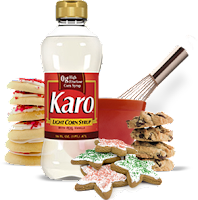 Click the cookie exchange tab! Today marks two very important events on the calendar: my friend, Stephen, has his 15th birthday, and it is the first day of winter. The first day of winter is also known as the winter solstice and the beginning of the return of the sun. My own daughter was born on the first day of autumn and once I realized that I wondered if I hadn't missed an opportunity to name her "Autumn". I imagine that never happened at the birth of Stephen...I don't see him as a "Winter" or "Solstice"! Stephen has brought a lot of fun to his family and, more recently, ours! We have come to appreciate his quick smile and tender heart. He is quick to offer help if needed and keeps an eye out for our twins, even assisting in their Sunday morning class! If I haven't said so before, thank you for that! Isn't this an unusual season of life? The time between being a kid and moving on towards independence. The earth goes through seasons- spring, summer, fall, and winter- and so do we. Some people see each age as a season, completing the cycle with winter at the end of their life. But I see life as a repeating of seasons, just like the earth does. It's usually during the "winter" season that most people get discouraged. It's because during this time we don't "see" anything (if much) happening in our lives. Everything looks dead. I want to encourage you... it's not dead, it's just dormant. The trees don't die in winter time just because they have no leaves on them... they are just dormant. They are taking a rest, drinking in nutrients, getting prepared for the next season when they will have to put on new buds and leaves. After today, the days will slowly grow longer, with more hours of sunlight leading up to spring. According to live Harris Grove in his post, this is what we need to keep in mind as we are in the long and colder days so that we live in the realm of possibility rather than in despair. If this time of in between childhood and adulthood feels a little long and dreary, don't despair! Some people are reporting of getting Fundex Pick Up Sticks for FREE this week at Rite Aid. 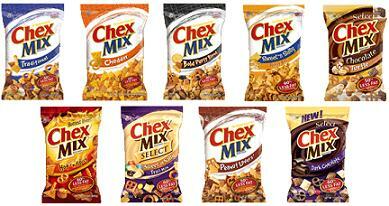 They are on sale for 25% off this week making them $1.94 and are producing a $2 + UP Reward! 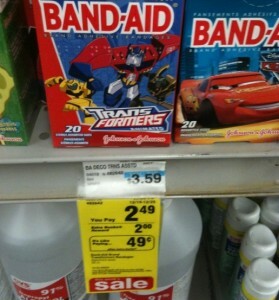 $2 ECB are printing on character bandaids at CVS this week. This makes them just .49! The limit is 2. Final, funny, Christmas song for special needs silliness. Finally, a song that put words to my feeling! Head over to Graveyard Mall and browse the special deal items. Then add the promo code ShipAfterChristmas75 to take an extra 75% off your items! Wow! Here are some examples on the page and the prices BEFORE the extra discount!! This resource provides six individual stand-alone Bible studies for adults on video along with PDF facilitator helps viewer guides answer keys and discussion questions for every session. Hartz aqua pal dog toy is made from durable rubber and has raised knobs to aid in removing plaque and tartar from teeth. Wouldn't it be nice to take this offer from Groupon at Ocean City NJ? Head over to Groupon and check under the new location "Allentown/Bethlehem". Even your friends and family who have everything can appreciate this! Hurry! This offer has a limited number! Add ANYTHING to your cart and then add Promo code 11PIPERS and hit apply. You will have this set added for free and free shipping. You could just buy a bar of soap. I bought the blueberry curl Lumene mascara, actually 2, because a third one is added free to cart after 2. So I got three high end mascaras for $19.98 with the free skin care set and free shipping. Tomorrow is the last deal for the 12 days of Christmas. Nice deal from Target.com today! priced down to $5.99 and free shipping! I was pretty annoyed when I spent over a buck for a box of cereal tonight...I generally have a rule to stock up only when under a dollar...or really almost free. But I came home to find that coupons.com has posted some pretty awesome new cereal coupons! Whew! You should be able to combine a few of them with sales. My stores will double the .70 coupons. Sorry, I hope to have my niece's practically fiance/graduate in Web design boyfriend to help me figure out how to link my coupons.com into my post, but until then you can find the links at the top and bottom of my webpage. And I was just at the WalMart today....missed this! 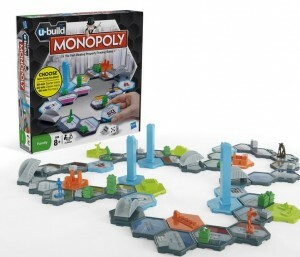 Walmart has the U Build Monopoly game priced at $5 through the weekend only. There is a $3 off printable coupon HERE that will make them just $2 each! So I just saw the Tanga add in my advertisment margin for Family Circle, checked it out, and found it is just $2.99! I couldn't resist and bought a subscription....Merry Christmas to me! ha! Need a last minute gift? You can follow the link there, buy a subscription, and print out or write up a note/certificate for the recipient. For my friends who parent special needs children....sound familiar? You can use this to buy MP3s and if you “buy” less than $20 worth they are completely FREE and they don’t even ask for your credit cards number! If you want to buy merchandise, you will have to pay for shipping which will be around $8. ***For the coupon match-ups that combine 1 Manufacturer’s coupon with 1 Walgreens coupon, be sure to FIRST hand over the manufacturer’s coupon, and then have them scan the Walgreens coupon to avoid beeping and coupon conflict. Use the $5/1 coupon found in the 12/5 SmartSource insert Coupon expires 12/19! Thanks to onefrugalchick.com, I did this deal and it was great! I also added the 14.99 3 piece make up set that is on sale and took it over $20. I plan to cancel the order for ALLURE magazine that you get for spending $20 and submit the rebate for the $12 back. (follow the link on the magazine details) Now my total for EVERYTHING would be $8. Love it! UPDATE: Reader, Cheyenne says that code: ot2wk also took off 15% on her purchase, so the deal gets even better!! Alright now this deal seems to be an even better then the last!! DermStore.com is now giving away a FREE DermStore Large Cosmetic Bag & Pamela Ford Cosmetics 5 Well Eyeshadow Palette ($60 Value) with ANY purchase using coupon code: 8MAIDS Plus shipping is FREE on any order!! The crazy thing is they actually sell the Eyeshadow pallette on Dermstore for $45!!! These offers are WAY too good to pass up. So again, I ordered the Yes To Carrots Travel Size Body Butters for $1.99, but you have to buy at least a quantity of 4, making them a total of $7.96. These are great additions to gifts, and if we get them before Christmas GREAT stocking stuffers!! 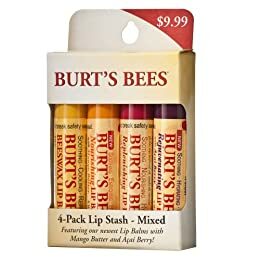 Also, next week the Yes to Carrots Lip Balms are on sale 3 for $4 at Rite Aid and I plan on picking up a bunch. So add the two items together and you have a cute little gift!